Want to take the hassle away from organising and collecting the birthday cake as well. For an additional cost we can arrange either a cake or regular cupcakes decorated in your choice of number and colours. 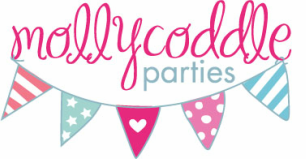 Want to add that something extra to your pamper, kids party or event? Then why not have a lolly buffet, they are all the rage and make the party look that little bit more special.. Lolly buffets start from just $100 and include lolly labels, drink dispenser, plus all lollies are divided up amongst the guests at the end of the event.